he U.S. Federal Trade Commission is seeking a civil court contempt ruling against the largest third-party billing vendor in the U.S., alleging that it placed more than $70 million in unauthorized charges on telephone bills in violation of a previous court order. The FTC is seeking to recover $52.6 million from Billing Services Group, but BSG denied the agency's charges, saying the FTC is targeting the wrong company. The FTC is seeking to recover the amount that the agency alleges the company billed consumers and failed to refund, the agency announced Tuesday. 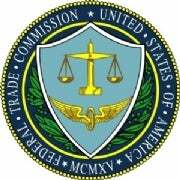 The FTC accused BSG of cramming unauthorized charges on nearly 1.2 million telephone lines on behalf of a serial crammer. Information in an FTC motion against BSG, filed in April in U.S. District Court for the Western District of Texas, comes from a 2010 investigation by the U.S. Federal Bureau of Investigation into Alternate Billing, a Minnesota company that was formerly a BSG client, BSG said in a statement. BSG defended itself by saying it provides legitimate third-party billing services for telephone customers and vendors. Alternate Billing and related companies were among its customers from 2006 to 2010, the FTC alleged. The FTC's motion "represents an incomplete and inaccurate representation of the facts and leaps to false conclusions," BSG said in a statement. "Apparently, the FTC's view is that, because BSG settled litigation 13 years ago, BSG is liable for contempt whenever a service provider is able to evade the compliance measures implemented by BSG, regardless of BSG's diligence and good faith. The bottom line is that the FTC is trying to blame BSG for the acts of another party." No one answered the phone Tuesday afternoon at a phone number associated with Alternate Billing. The FBI investigation into Alternate Billing is ongoing, according to a spokeswoman for the agency. BSG "cooperated fully" with the FBI investigation into Alternate Billing, BSG said in its statement. "To assert that BSG would have had any unique insight into Alternate Billing's operations that would have led it to suspect cramming is ridiculous," the company said. The FTC alleged that BSG has violated the terms of a 1999 settlement with the agency that prohibits unauthorized billing and billing for vendors that fail to disclose the terms of their services. The charges were for so-called enhanced services, such as voicemail and streaming video, that consumers never authorized, the FTC alleged. "BSG made it possible for con artists to steal people's hard-earned money by placing charges on phone bills for services they never ordered or used," David Vladeck, director of the FTC's Bureau of Consumer Protection, said in a statement. "Under previous federal court orders, BSG cannot profit from the fraud of others and then deny responsibility for the harm they made possible." In its contempt motion, the FTC alleged that BSG failed to investigate the highly deceptive marketing for the services or whether consumers even used them. BSG kept billing for these services despite "voluminous" complaints from consumers and even after some major telephone companies refused to do so, the FTC alleged in its motion. From 2006 through 2010, BSG billed consumers for nine crammed "enhanced services," including three voicemail services, one streaming video service, two identity theft protection services, two directory assistance services, and one job skills training service, the FTC alleged. BSG billed tens of thousands of consumers for voicemail boxes each month from July 2009 through March 2010, but consumers used only 209 mailboxes during that time, the FTC alleged. BSG also billed more 250,000 consumers for a streaming video service, but only 23 total movies were streamed, some of them by the crammers' employees, the agency alleged. BSG billed consumers more than $30 million for the voicemail services and more than $12 million for the video service, the FTC alleged.